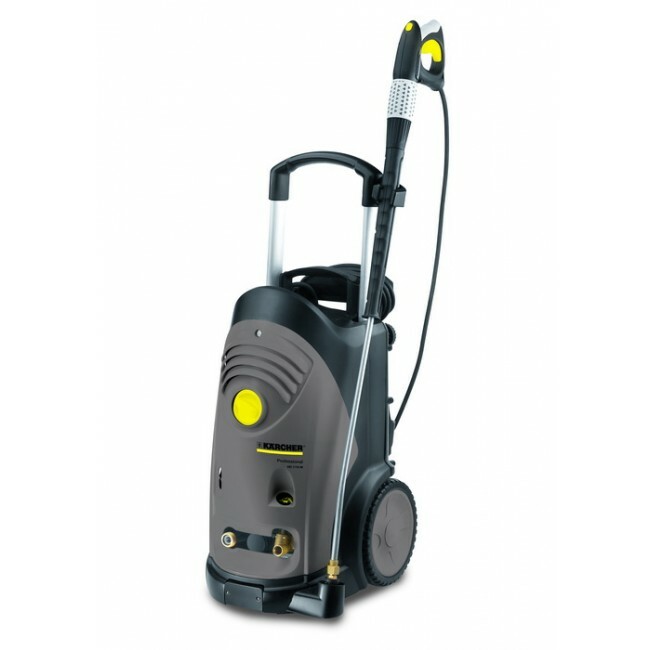 Cold-water high-pressure cleaner with tough 4-pole three-phase motor, 180 bar pressure and Dirt blaster nozzle. The HD 7/18-4 M Plus is a high quality, powerful & robust machine for cleaning vehicles or outdoor areas on a regular basis. This unit comes complete with a 4 pole, long life air cooled electric motor for high cleaning efficiency. Compact dimensions, lightweight and excellent mobility make cleaning operations simpler and faster. It is highly manoeuvrable and can be easily transported. Built to clean in long and tough operating conditions, the Easy Press trigger with soft grip inlay ensures fatigue free operation by reducing operator effort. Ideal for fast and tough cleaning jobs on the farm, in the workshop or in car dealerships. Featuring a dirt blaster nozzle, providing even greater cleaning performance for the most difficult cleaning tasks. Air-water-cooled electric motors for intensive use.